A comfy bed, fluffy towels, and plenty of free soap; sometimes you just need the comforts of a nice hotel room. Even if you’re used to staying in hostels or AirBnB accommodation, there are places that they are just not available or can be difficult to book last minute. But with average daily rates climbing every year, it can seem silly to spend a lot of money on a room you probably won’t be spending that much time in if you’re out exploring all day. Take a look at the following tips on what to look for and what to avoid to help you find the best deals. Using the right booking website can save you a lot of money. Results can vary greatly depending on the site’s inventory and the destination you’re searching in, so be sure to compare a few before making a reservation. Booking.com and Agoda tend to offer the largest variety at reasonable prices and free-cancellation options. Sometimes it’s as simple as that. Call up a hotel and ask for the best price they can offer you. Sometimes it’s cheaper than anything you can find online, especially if you’re booking midweek or during off-peak season. Larger chains like to reward their loyal customers. 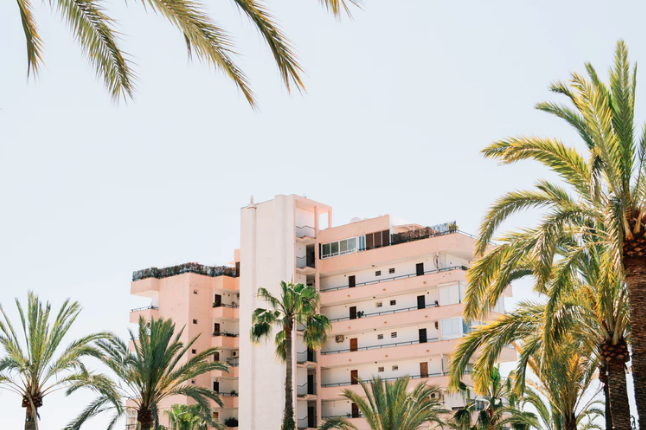 By collecting points, you can get perks like room upgrades and even free nights, but you usually have to book directly with the hotel in order to earn loyalty points. Many organizations offer special rates for their members and often include cheaper deals on hotels and flights. Check out travel sites for groups like Costco, Sam’s Club, AAA, and AARP. You can sometimes find discounted gift cards online which you can use to book major hotel chains, try looking on GiftCardGranny or CardPool. As an added bonus, they usually count towards your loyalty points too. When people are stuck with a hotel reservation they can’t cancel, they turn to websites such as RooerTravel to sell them at a cheaper rate and make some money back. You could save up to 75% compared to standard rates. Although most hotels don’t offer coupons, you might be able to find some for third-party booking sites such as Hotels.com. Whether it’s a 40% discount on select hotels or $20 off your next booking, it’s definitely worth looking around. If you can be flexible with your dates you’ll have the best chance of scoping out the best price. Hotels usually offer discounted rates when they’re least busy, which is usually Sunday to Thursday. So if you can, avoid booking on a Friday or Saturday. If you’re able to hold on until the last minute, apps like HotelTonight and LastMinute offer unsold rooms at luxury hotels at cut-rate prices. This is an excellent way to save on your accommodation, but if you’re trying to book during a busy period, there might not be much on offer. Some hotels charge you extra for things like parking, Wifi, using the gym, breakfast… Additional costs can add up pretty quickly, so it’s better to look for inclusive deals. Although it may not be the cheapest rate on offer, you’ll get the most for your money. Many people don’t realize that you can use airline miles to get savings on hotels as well as flights. Some carriers work with preferred partners, so if you’ve clocked up a few miles, check the airline’s travel portal to see what you can spend them on. Unlike airline fares, hotel rates don’t tend to fluctuate much from day to day. Try using some of the following suggestions to find the best deal possible, but it’s probably not worth spending days comparing rates in the hope of finding a bargain. 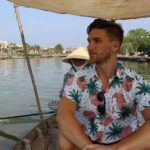 Cal Bailey blogs at MountainLeon.com – a travel blog he started after two years on backpacking around the world. If you want to learn more about travel and backpacking, make sure you read his latest posts.